Those born between June 22nd and July 22nd are born under the Cancer star sign, which is the fourth sign of the zodiac. As with previous months, we will be taking an in-depth look at the star sign, discussing its history and mythology as well as the unique traits of Cancerian. Nurturing, vulnerable, tenacious, moody, ambitious, insecure, nostalgic, protective, sentimental. The word ‘Cancer’ comes originally from the Latin word for ‘crab’ – the symbol the sign is commonly depicted as. In Greek mythology Cancer was Karkinos, a giant crab sent by Queen of Olympus, Hera to kill Hercules in battle. Hercules was just one of Zeus’ many illegitimate children, and it was thought that he was a constant reminder to Hera of her husband’s unfaithfulness. There are two stories on how the battle ended. The first states that Hercules removed Karkinos by kicking it with such force that it was propelled into the sky. The second tells of the moment Hercules crushed the creature underfoot, leading Hera to place the image of the crab in the sky, rewarding it for its courage and loyalty. Just like their mascot, Cancerians have the tendency to disappear back into their shells if the mood strikes. They use this hard exterior as protection for their home, which tends to matter more than anything to this sign – they spend large amounts of energy building up their nest and you would be a fool to try and penetrate it. This strong sense of home, along with their caring and compassionate nature makes them great partners, with a strong need for security. Cancerians have a strong creative side, and may express this through art, poetry or music. The downside of Cancers protective outer shell means that they have the tendency to retreat, leading others to sometimes view them as moody or withdrawn. Cancerians large pinching claws mean that they can find it hard to let go of things, especially from their past but remember that repressed emotion can lead to anger, resentment or even depression. They are extremely loyal, and protective of those they care about – they will go to bat for you! They have shrewd minds, and coupled with their caring side they intuitively know when people are in trouble and need support. Their excellent memories and hard-working ethic, makes them good at work and in business. Their emotional side is often their downfall, whether it is at work or in love. When feeling vulnerable, their jealous and possessive tendencies rise to the surface. They will make a grab for whatever means security for them, whether that is in the form of a home, a relationship, material possessions or money. Cancerians do take work seriously, and they will work hard, but make no mistake they are there to earn a living and money is important to them. They are responsible and reliable – steady wins the race. Just like in their personal lives criticism is taken harshly, they respond much better to positive reinforcement when they have done a good job. Their characters are as such, that they do need regular praise to stay fully motivated. You can expect this star sign to look the part, and if they are boss, they will expect that from others. They are not the life and soul of the party – and they expect work to be carried out without a lot of frivolity. It is rare that a Cancer star sign makes the first move, they are far too concerned with possible rejection. They don’t respond well to criticism, or being made fun of, even in jest. In a relationship they respond best to warmth and affection. Cancerians are romantic at heart, they are not afraid to put love and their relationship above other things in their lives. They can become attached quite quickly. They want long-term relationships and want to be adored, appreciated and loved forever. In a partner they look for someone who will put them and family first. They will need to provide financial security. But they will also be expected to be strong in areas other than money, they need to be relied upon, and provide a safe haven to go to in troubled times. They should be devoted, honest and loyal. An intense need for security, can drive a Cancerian to be overly dependant on parents, siblings and other family members. They will likely need more guidance, support and protection than other star signs. Their challenge is to develop as an independent, and unique thinking individual. Cancer star signs tend to treat friends as if they were family members, and as such they treat them with loving care. The downside to this is they can be a little possessive, treating the friend as if they are a possession. They really value friendships made early on in life, those made later are more likely to be left behind if they wrong or anger the Cancerian. But if the attachment is strong, eventually reconciliation will be achieved. 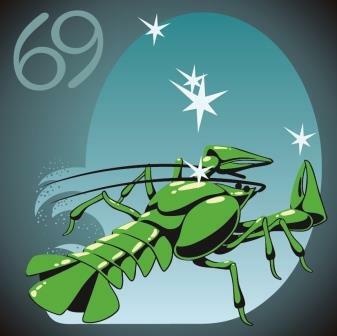 Those of the Cancer star sign, do tend to judge themselves harshly against friends, they like to think they are keeping up and progressing at a similar or better pace. This can cause tension, if it is perceived the friend is doing better. Check out the following famous Cancerians, do they match up to the characteristics we mentioned? Notable Cancerians George Michael, Ringo Starr and Ernest Hemingway all demonstrate Cancers creative flair for music and writing, while Prince William and Tom Hanks represent Cancers secure, home-loving side, kept protected by their shells. Other celebs born under the Cancer star sign include Tom Cruise, Cheryl Cole and Lindsay Lohan. If you would like to learn more about the Cancer Star Sign and discover what is to come for you this month then visit our horoscopes page. Many of our Psychic Readers are especially talented in astrology and may be able to tell you more about the Cancer star sign. Why not also find out more information about which star signs are compatible with Cancerians.